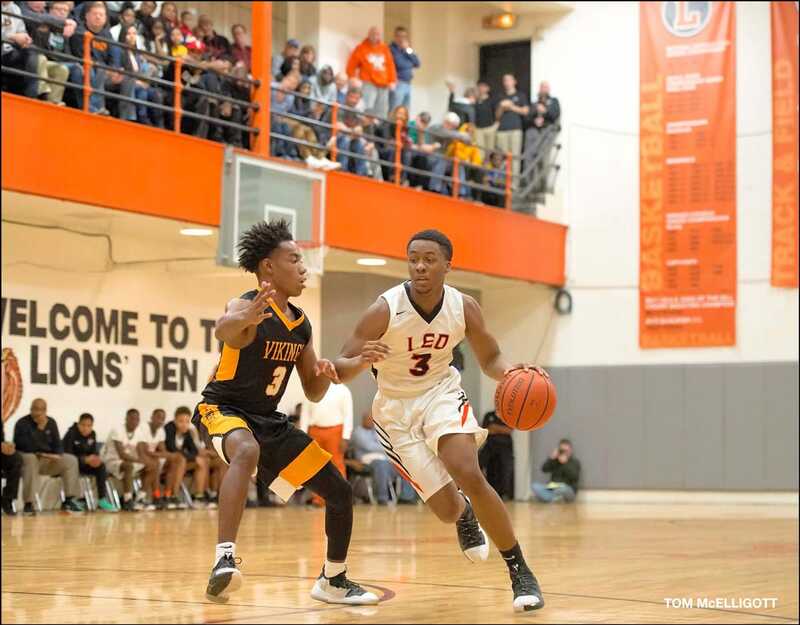 A basketball season that could have easily gone off the rails turned out to be a dramatically successful one for the Leo Lions. 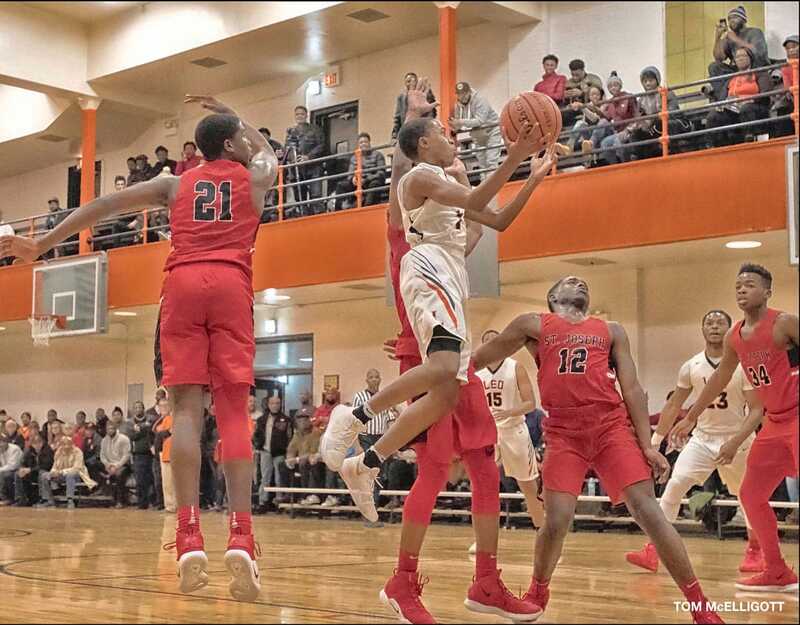 They earned IHSA Regional and Sectional titles at the Class 2-A level before losing to Public League powerhouse Orr in the Joliet Supersectional, one game short of the state tournament. 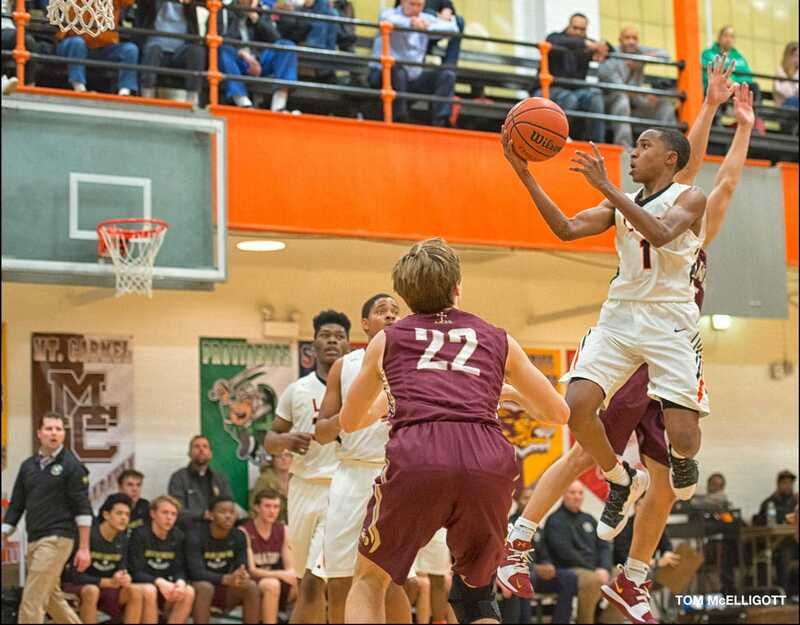 Finishing 24-9 overall, the Lions reached the 20-victory mark for the third time in four seasons and earned a Lion’s share of individual honors along the way. 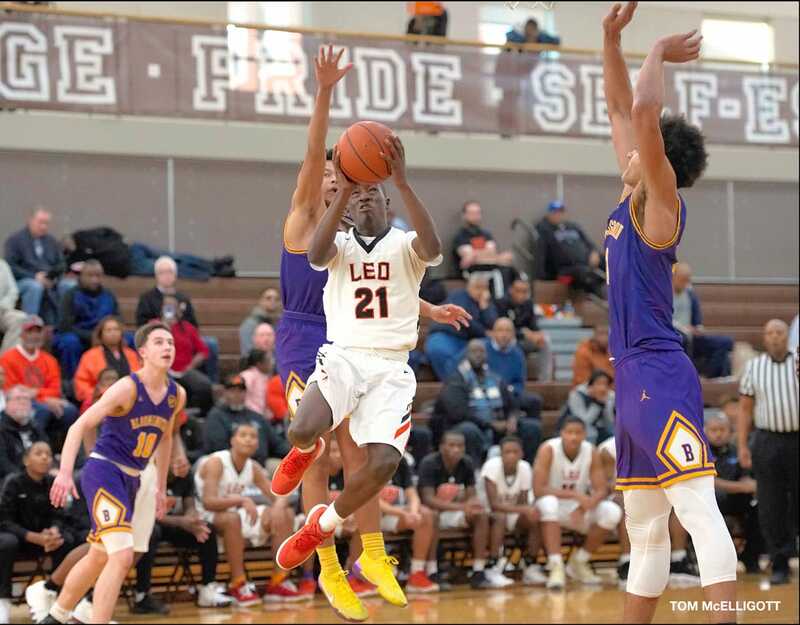 Leo had high hopes for this season, with four starters returning from a 20-6 team that rolled through the Catholic League White Division undefeated. 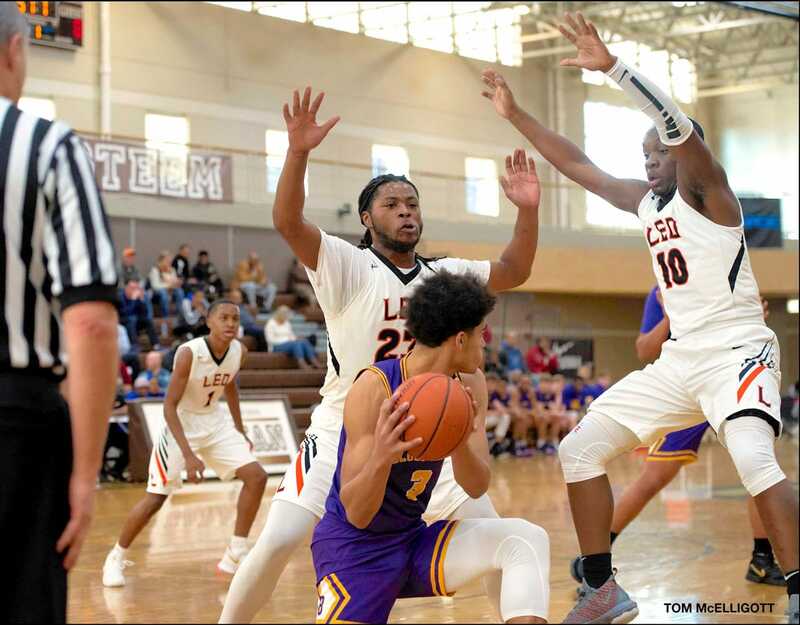 Four games into it, a coaching change resulted in the appointment of Jamal Thompson, Class of 2000, whose familiarity with the Lions was limited to the handful of times he saw them play last season. 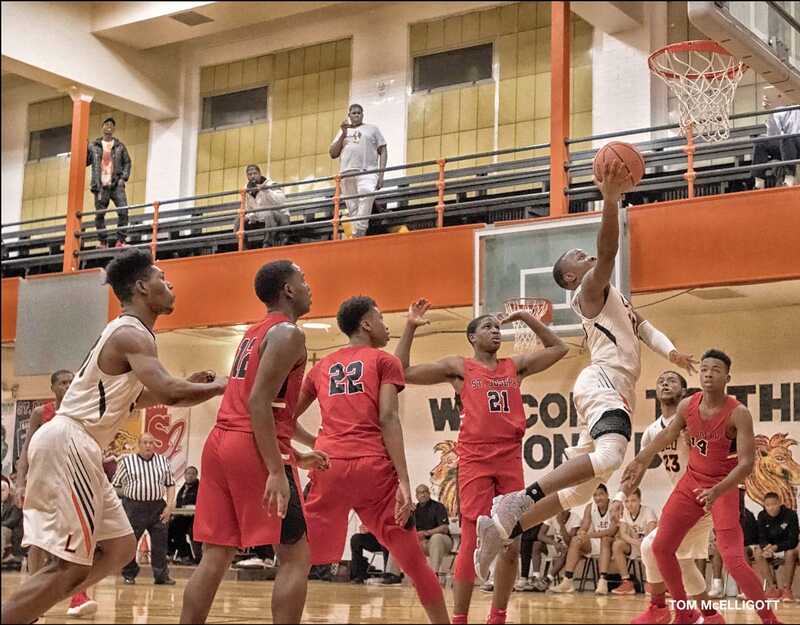 Thompson retained assistant coach Fred Cleveland and leaned on him for his defensive expertise, as well as his knowledge of Catholic League competition. 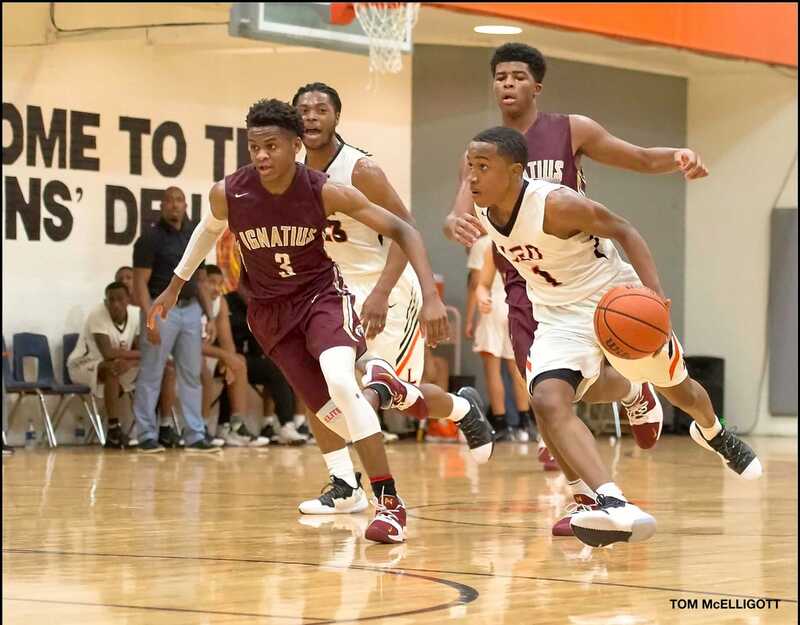 The players responded to Thompson’s positive attitude and all-for-one style of play. 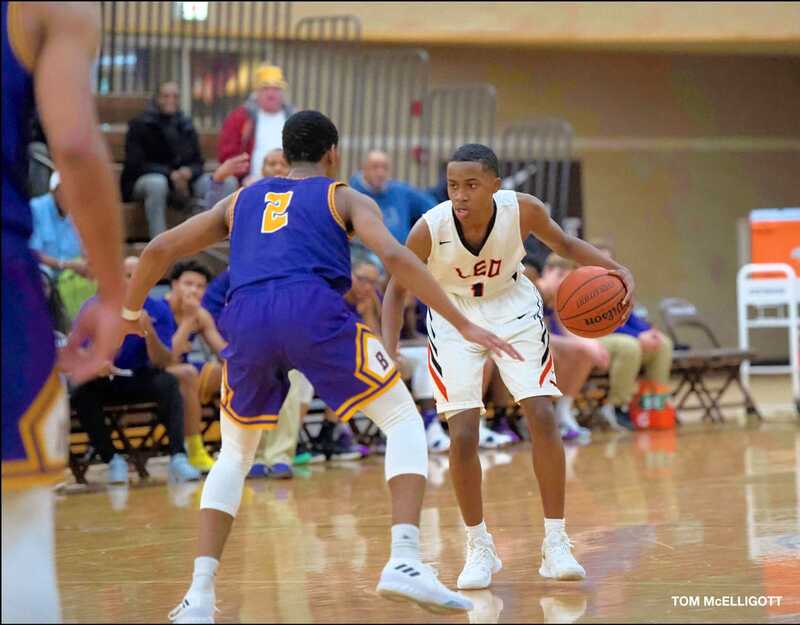 The CCL was stronger top to bottom and more balanced this season, so there was no undefeated run through the White Division­—with a 10-5 conference record, the Lions finished third behind St. Rita (13-2) and Providence-St. Mel (11-4). 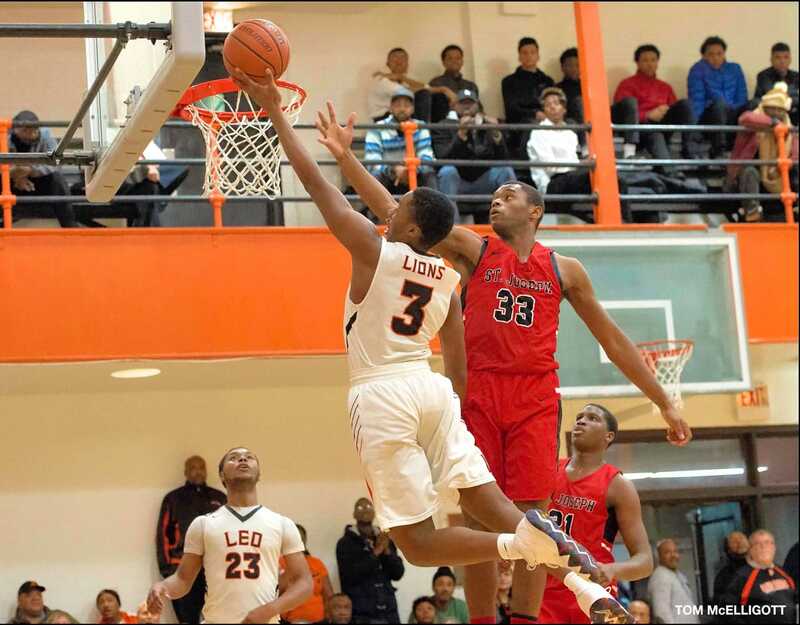 A third-place finish at the prestigious Proviso West Holiday Classic was another highlight. 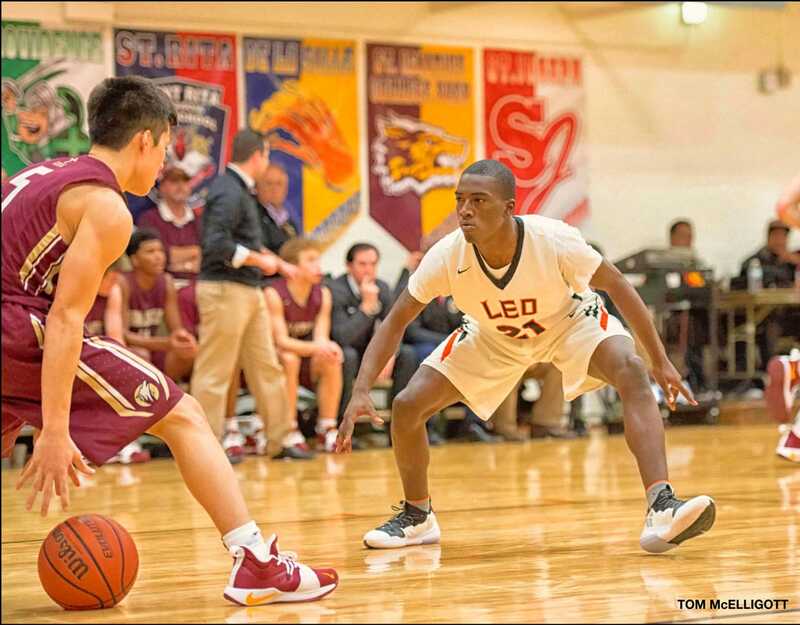 And when the postseason rolled around, the Lions were ready for it. 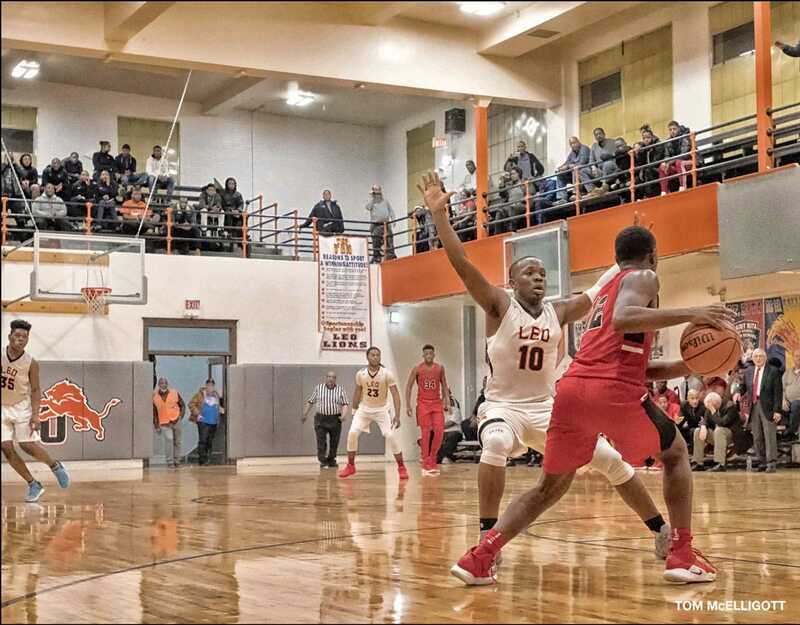 They stormed through their 2-A Regional at Woodlawn, dispatching Noble Street Baker and ACE Amandla with ease. 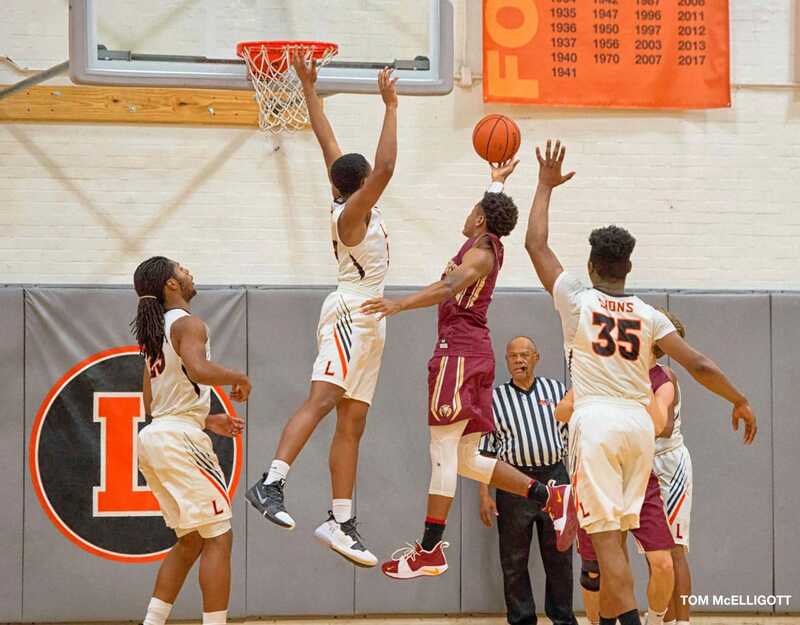 The Marshall Sectional was a more formidable challenge, but the Lions responded with no-sweat victories over Public League icons Marshall and Dunbar. 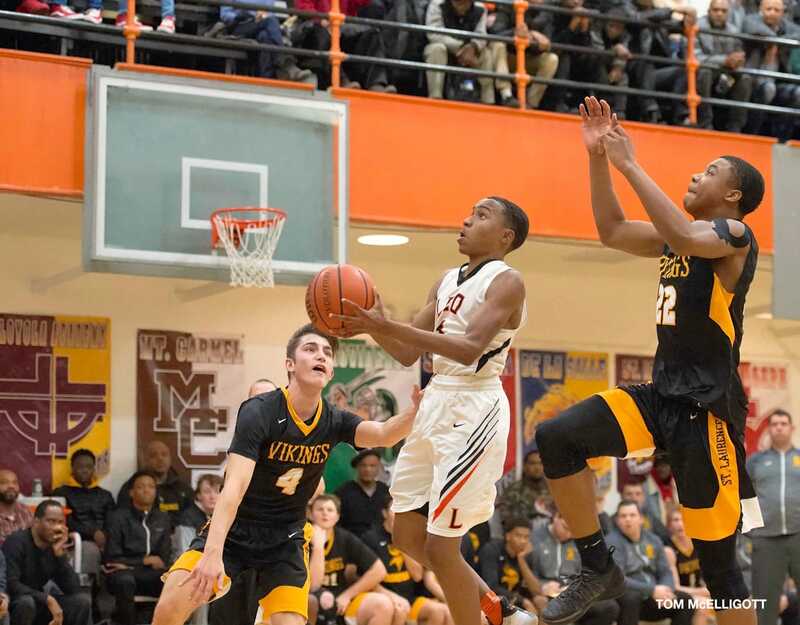 Beating Marshall on its own floor was especially sweet, as it was the Commandos who put an end to Leo’s dream season last year with an upset victory in the Regional title game at Marshall. Orr, though, was another story. 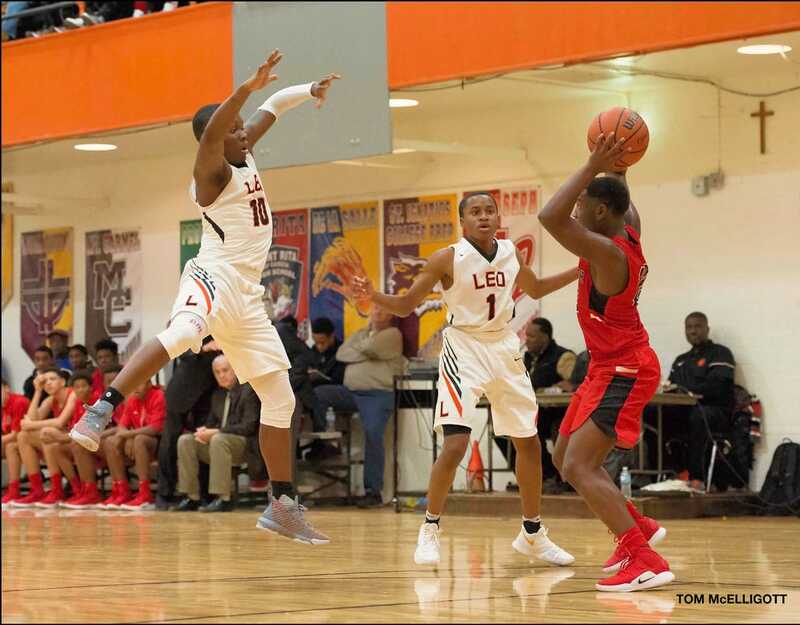 The Spartans had a little too much size, depth and firepower for the Lions, taking early command with a 9-0 flurry and responding with another quick burst each time Leo made a move. 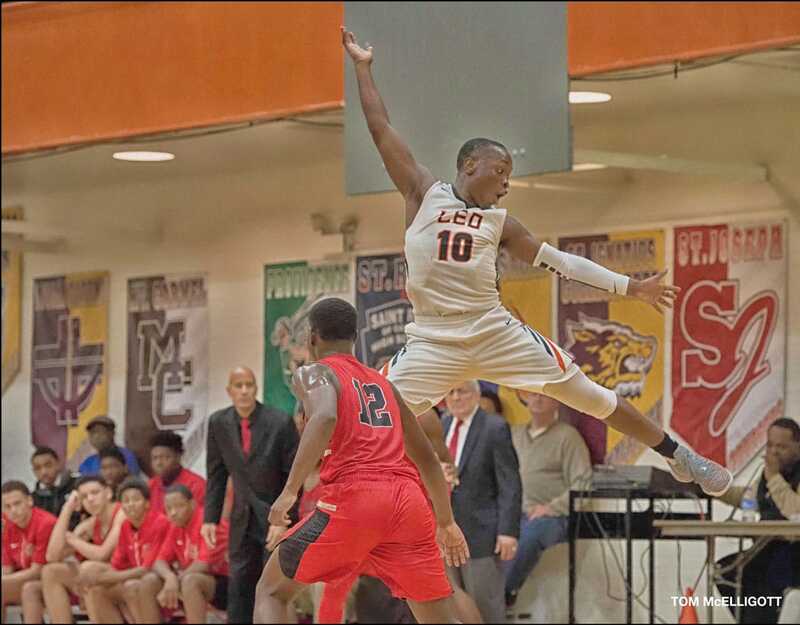 The final was 73-55. Still, the chaos of November had evolved into something truly memorable as February turned into March. 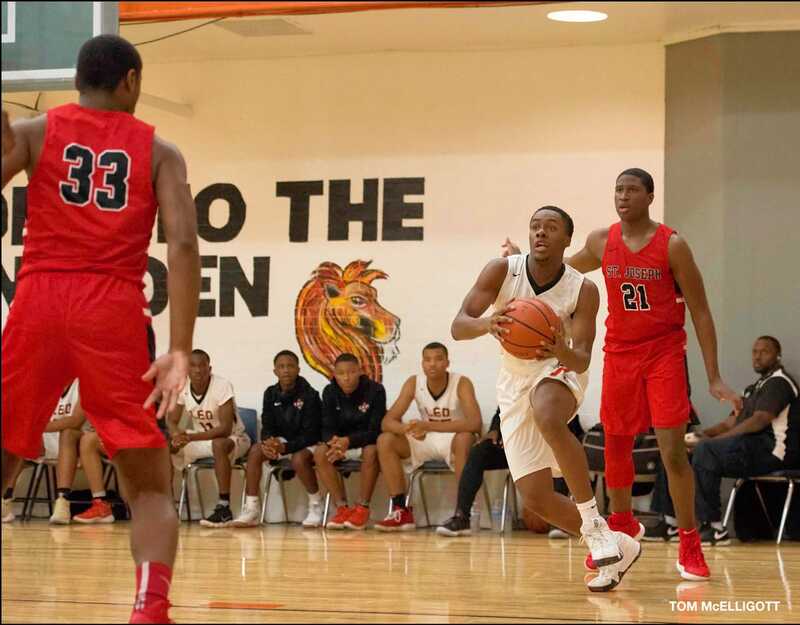 And with two starters returning and more talent arriving at the lower levels, there might be more where that came from. 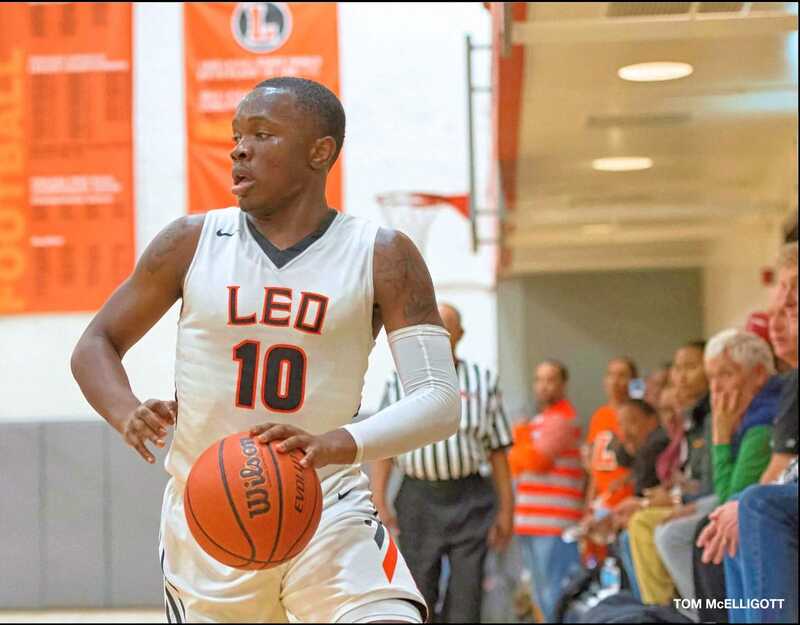 HONORS ROLL IN: Guard Fred Cleveland finished his junior season as one of the most decorated basketball players in Leo history. He retained many of the accolades as a senior … and he had company. 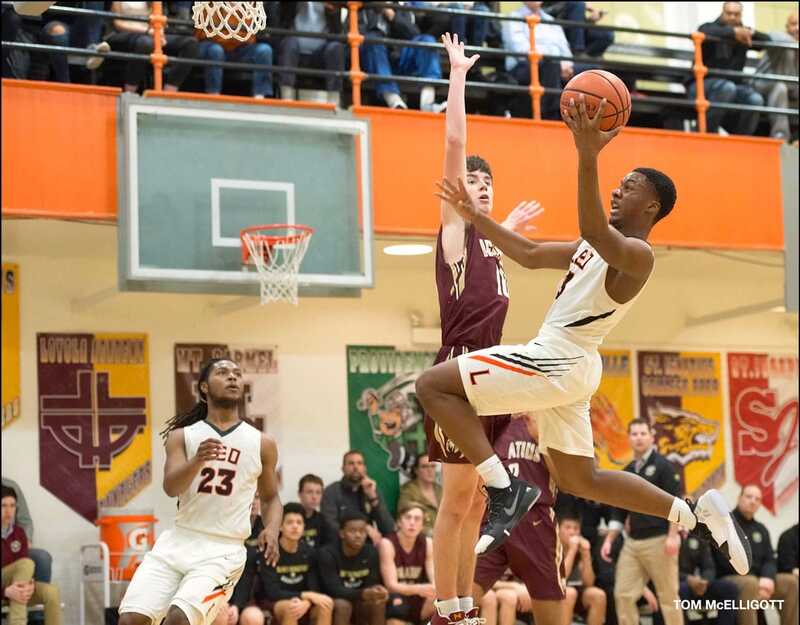 Fellow senior DaChaun Anderson joined Fred on the Associated Press Class 2-A All-State team. 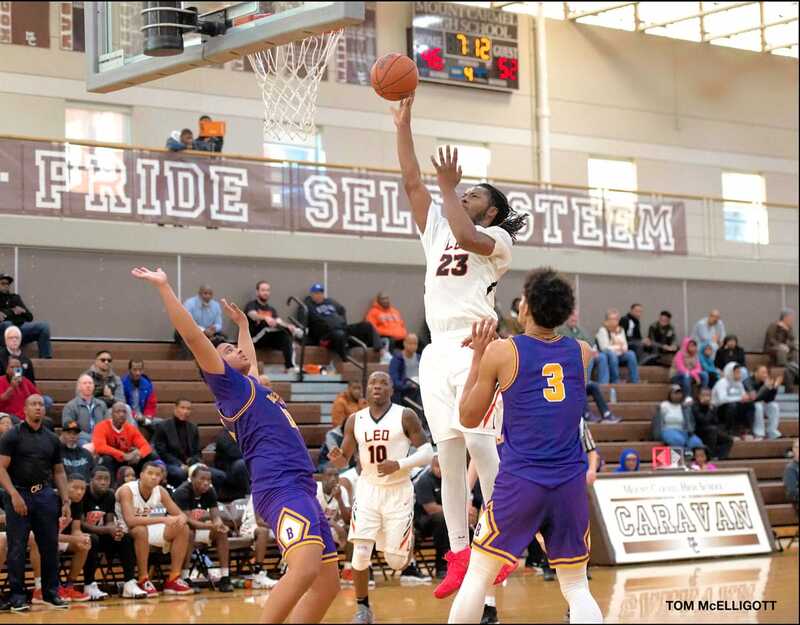 DaChaun was first team and Fred was honorable mention on the Chicago Sun-Times All-Area team, while DaChuan made second team and Fred was fourth team on the Sun Times All-City team. 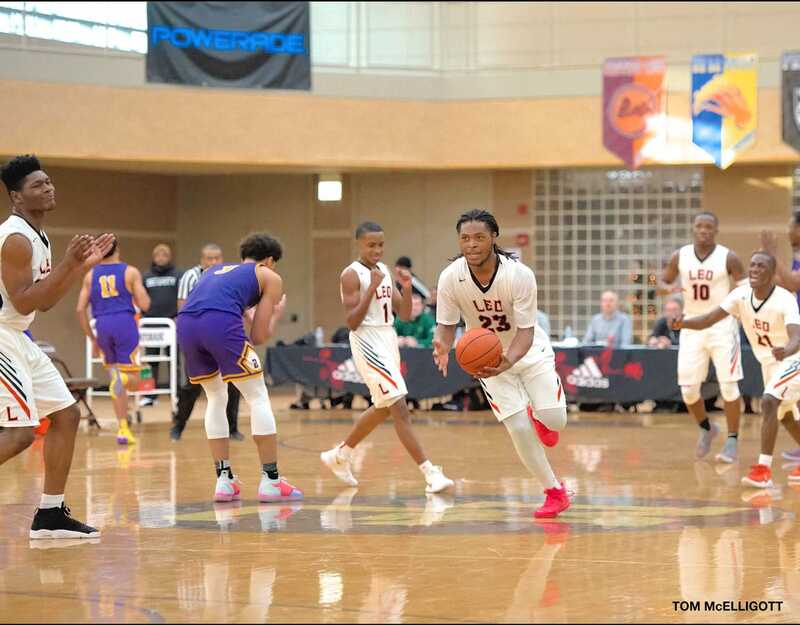 Fred repeated as a first-team member of the All-Chicago Catholic League squad, while younger brother Kendale Anderson joined DaChaun on the All-White Division first team. 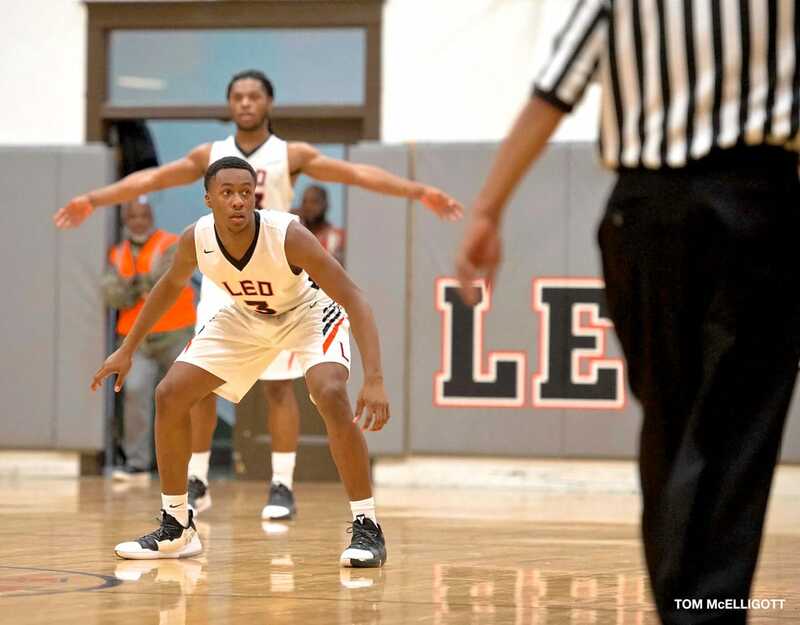 With Cleveland, fellow senior Myles Thomas and the Anderson brothers in the starting lineup, Leo was 44-15 over the last two seasons, with conference, regional and sectional titles. 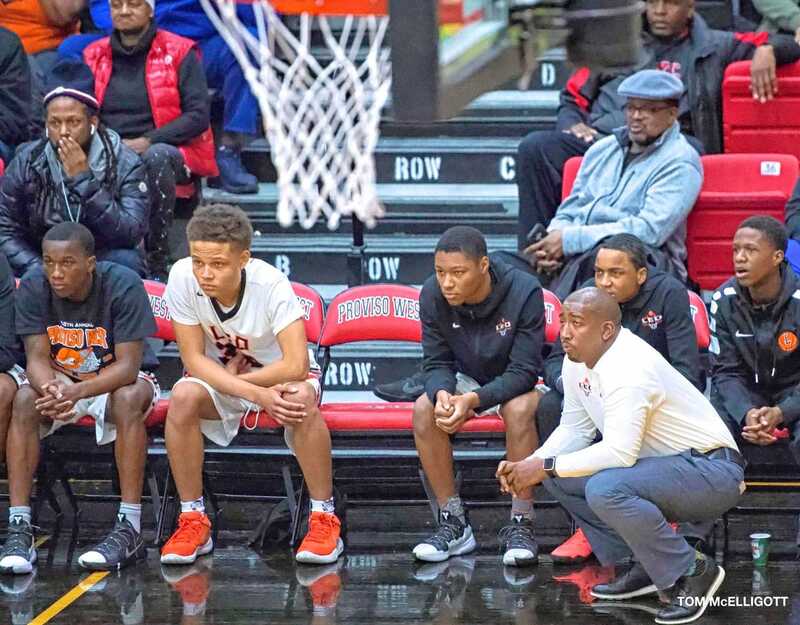 More important, the players excelled in the classroom as well as on the court and never failed to conduct themselves like the champions they are. 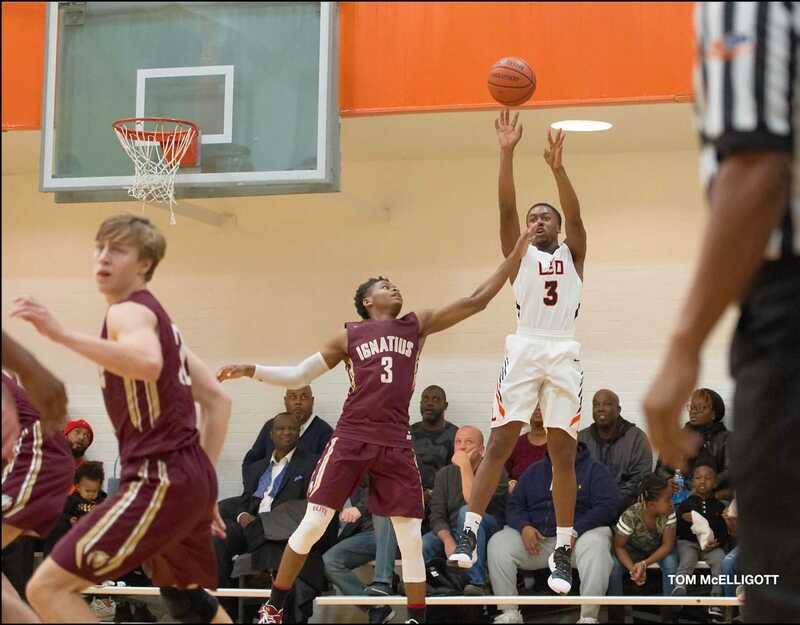 Leo High School is very proud of its basketball program.